Welcome to our class site. I’d like to introduce you to my teaching studio in Cambridge, MA. My approach to teaching could be described as an amalgamation of traditional violin pedagogy and the Suzuki philosophy. I see my students twice a week. My weekly fee for beginners is $50.00 which includes one 30 minute lesson and a weekly Saturday group class, and monthly performance classes. The fee increases as longer lessons, rehearsals, and coachings become necessary. 45 minute lessons cost $75. Hourly lessons are $100 per week, which includes lessons, weekly classes, and monthly performance classes. Once per semester (15 weeks) the kids perform in a class recital. In certain cases, I may see a beginning student twice a week. The fee does not increase. Students pay only for the lessons they take. I make every effort to make up missed lessons in the same week in the event of illness, emergency, or inclement weather. Scholarships are available based on need and merit. Please let me know if my fees pose a hardship. Younger students need to have a parent present to observe the private and group classes, and supervise their listening to their CDs. This is essential, as you’ll be their daily practice helper. Parental involvement and the creation of a consistent musical home environment are keys to successful early training. I’ll work directly with parents early in the training experience. Before we begin lessons, you and your child may come to observe others’ lessons. I then teach you from the very beginning how to practice with your child. iPhones and iPads or other recording devices can be very useful. I’ll suggest reading for those unfamiliar with early childhood learning. As your child progresses and matures, less parental involvement will be needed. Please feel free to call with any questions. I take my commitment to this work very seriously, and hope that all applying students and parents, regardless of level, will echo that seriousness. Lucia P. May is on the faculties of the Longy School of Music at Bard College, Project STEP, and the Boston String Academy, and has opened a new private studio in Cambridge, MA. 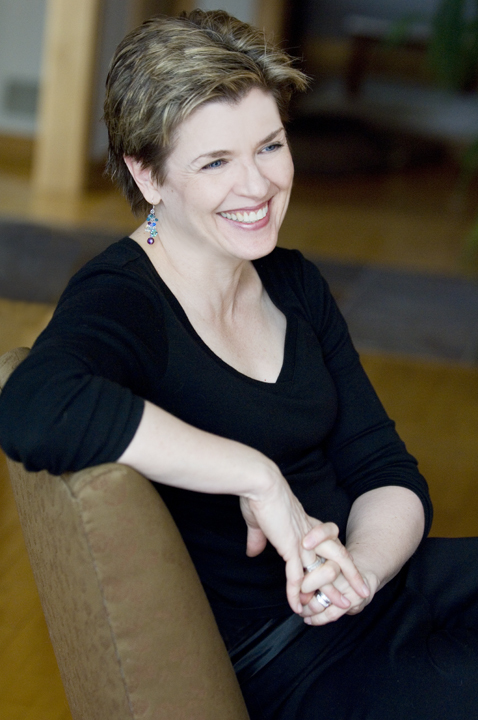 Prior to moving to Minnesota in 2001, she taught year-round at the String Academy at the Jacobs School of Music at Indiana University . From 2001-2016 she maintained a large private studio in St. Paul and was named Studio Teacher of the Year in 2015 by the Minnesota chapter of ASTA. Since the 1990’s Lucia has taught the violin and chamber music in various programs including the Indiana University Summer String Academy with Mimi Zweig, at the University of Minnesota Bravo! Summer Institute with Sally O’Reilly, and the St. Louis Symphony Community Music School. In 1984 she received her Bachelor of Music degree in violin performance from the Saint Louis Conservatory of Music, before graduate studies at Southern Illinois University. Her teachers included Daniel Majeske, concertmaster of the Cleveland Orchestra, Taras Gabora of the Oberlin Conservatory, and Fryderyk Sadowski of the Saint Louis Conservatory. For over ten years she was immersed in pedagogy as part of the teacher training program at SIU Edwardsville, led by John Kendall, a pioneer of the American Suzuki movement. Lucia worked with Kendall in several capacities including graduate teacher assessment in teacher training, pedagogy, and performance. Lucia became interested in teaching and pedagogy in the 1980s, when her daughter began the violin as a young student of John Kendall, watching firsthand in real time the progression from beginner to advanced violinist. She continued this experiential training as her daughter studied with Mimi Zweig throughout the 1990s, during which time she played with the St. Louis based contemporary ensemble Synchronia. Additionally, Lucia is a longtime arts advocate who served for fifteen years on the Board of Directors for the Saint Louis Symphony Orchestra and chaired its education committee. She also served for ten years on the Board of the Saint Louis Conservatory and Schools for the Arts. Lucia is a published poet and author of the book Blond Boy.